Painful bed sores may have finally met their match according to University of Calgary researchers who’ve developed electronic underwear designed to prevent the potentially deadly sores from forming. Scientists reported results from a trial of their “Smart-e-Pants” system at the annual meeting of the Society for Neuroscience in New Orleans on Monday — unveiling a new way to reduce the incidence of bed sores — also known as pressure ulcers — by delivering tiny electric shocks through pads on each side of the buttocks which trick the muscles into contracting. While these shocking underpants look like normal boxer shorts — pads inside transmit 10-second electrical pulses into the muscles every 10 minutes for 12 hours a day. The stimulation is designed to relieve pressure, sending a fresh supply of blood flowing through the area — preventing the tissue and muscle from dying. Findings from a preliminary trial led by Dr. Sean Dukelow, showed that none of the 33 patients who wore the hi-tech underwear over a period of several weeks developed bed sores at all. 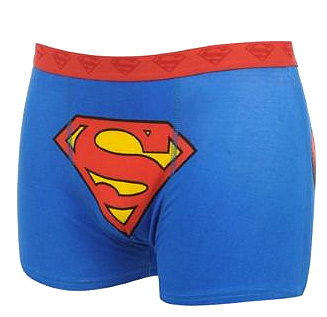 “If a large-scale trial is equally successful, the underwear could be on sale in just three years,” University of Calgary researcher Sean Dukelow told the Daily Mail UK. “This has shown us that the Smart-e-Pants are safe and feasible and what were really need to do now is prove in a very large sample of people that they work, so that you actually prevent pressure ulcers.” he added. Dr. Dukelow also cited that the technology used in Smart-e-Pants could ultimately be adapted to benefit other parts of the body like the shoulder blades, back of the head and heels which are also prone to develop bed sores. Read the entire report at Daily Mail UK.